And I was immediately struck with anger. At first, I wasn’t sure quite why. I get what they meant. 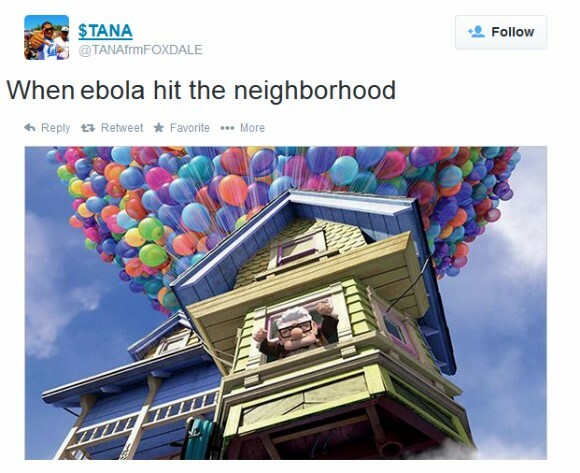 It seems like Ebola’s everywhere! It’s constantly on the news, all over the internet, and everyone’s talking about it. It makes sense to be sick of hearing about it. We’re bound to get sick of hearing about anything that much! But still, I couldn’t shake the discomfort that rung in my head over that status. 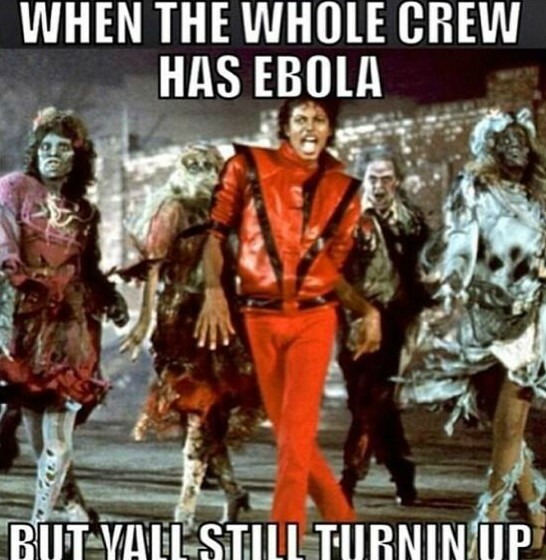 Ebola seems far away, after all, it’s only been diagnosed four times in the US. It’s easy to tuck it away in your mind as something distant that doesn’t affect you and forget why it’s a big deal. Because so many see this very real disease as a far away concept, we find safety in our distance and it’s easy to make light of it. The idea of disease never really hit home for me until my little sister was diagnosed with cancer. Yes, Ebola and cancer are two very different things. But I know what it’s like to watch someone I love very dearly suffer. I know what it’s like to hold my sister’s hand while she cries because she can’t escape the pain or the fear that comes with her disease. I know what it’s like to cry myself to sleep begging God to take her illness away. And I can’t help but imagine a sister somewhere in Africa in a situation very similar to my own, watching her loved one suffer, hearing her cries, and begging for it to all be over- but without the blessings of medicine and technology that my sister has access to. We are quick to throw on our pink gear for breast cancer awareness and dump ice on our head for ALS because that kind of awareness is fun and easy. I’m not trying to diminish those causes- they are great causes that deserve promotion. But I mean to make note of the fact that when another very real disease with very real consequences is brought to light and gains awareness, people groan that it’s in the news again and make jokes about it on the internet. 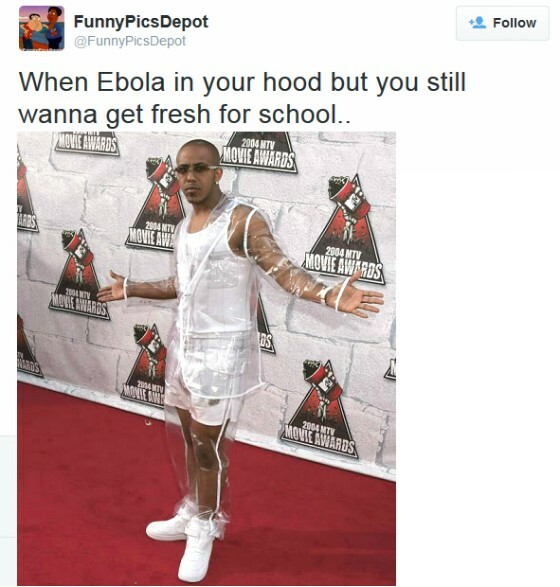 Because Ebola doesn’t have the fun and cute promotional package, we complain and make light of it and its need for awareness and a solution. 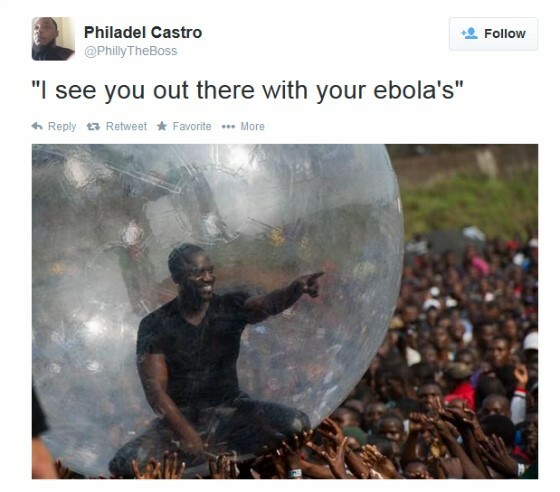 People are suffering and dying from Ebola. Just because that suffering seems far away, doesn’t make it any less significant. This is a guest post from my oldest daughter, Meredith. I begged her to let me post it. Please tell Meredith she writes right. And thank you for being such a lovely dad. Bravo. Very well said from a girl with a big heart. As long as it doesn’t effect us it’s not very real. Thanks for posting this Mark. It was my pleasure. She does have a big heart! Excellent points from your daughter who has inherited the very best of her mother So glad you posted this, Jo! Thanks for the encouragement. She’s a pretty special young lady. Lovely! You all have another writer in the family! Time for a Portsong spin-off. Haha. She’s got college stuff to do. But I’m sure she will sit in every now and then. WOW! Way to go Meredith. I’m sooooooo glad that your daughter has the sensitivity and softness to not let society and culture make light of what not ought to be taken light of. Unfortunately, western culture has become so self-absorbed and the lost that sensitivity to rejoice with those who rejoice, and mourn with those that mourn. If it doesn’t concern them, then leave me alone. Don’t disrupt my personal peace. Sad indeed. Two thumbs up for your daughter Mark. We are truly self-absorbed. She sent it to me when she was mad about it and I loved it! Thanks Staci. My Family Is Between 3 Hours And 22 Hours Away From Me By Car…And Yet They Have NEVER EVER Come To See My Son, Who Is In Such Awful Pain 100% Of The Time. They Feel Like Because He Does Not Have A Terminal Illness, That He Is Fine And That He Will Be Ok. They Think That Because It’s ONLY Just 1. Juv. Diabetes, 2 .Juv. Rheumatoid Arthtritis, And 3. SLE (Systemic Lupus Erythematosus) And 4. Hashimoto Syndrome… That They Can Be Treated And That It’s Not A Big Deal. But To My Son As Well As to Myself…It IS A HUGE Deal! Our Only True Wish For Christmas This Year, Is To NOT Have These Horrible Diseases In My Son’s Body. He Told Me The Other Day That If He Had To Choose Which Disease It Would Be To Have Out Of These 4…It Would Be The Diabetes. Because He Does EVERYTHING He Is Told By His Endocrinology Team…And His Blood Sugars, And A1C’s..And Other Blood Work Are ALWAYS Awesome!! So He Loves It When They Tell Him, “Stephen,Keep Doing What You Are Doing…We Are Loving Your Diabetes Numbers”! His Diabetes Is Fairly Easy To Control With Diet, Exercise, And Insulin. It Hurts Me When My Son Lays In Bed And Cries Out In Pain Because EVERY Joint Hurts, And Screams Out In Pain…And It Just Kills Me Inside When There Is NOTHING I Can Do But Give Him Pain Meds (That Don’t Work), And Console Him, And Give Him Ice Or Heat Whenever HE Asks For It. This Christmas I Just Want Our Life To Back To Normal!